Dietary fiber or roughage is defined as a complex carbohydrate which comes from plants, and it cannot be broken down by the enzymes in the stomach and small intestine. Since it remains in this indigestible state, fiber absorbs water, creating bulk and speeds the process by which waste is eliminated from the body. Dietary fiber has so many beneficial factors associated with it that everyone should be aware how it can help you lead a healthier life. Insoluble fiber doesn’t dissolve in water, and it helps move food through the digestive tract. Whole wheat flour, cereals, pastas, seeds, nuts, green beans, cauliflower, tomatoes, flax seeds, and potato skins contain insoluble fiber. Soluble fiber dissolves in water and forms a gelatinous-like material which lowers blood cholesterol and glucose levels. You can find soluble fiber in oats, barley, carrots, broccoli, artichokes, fruits, and berries. Relieves and prevents constipation. Fiber shortens the transit time of material in the digestive system by absorbing water into the stool, which increases bulk and softens the waste helping it speed along. Constipation and the straining to have a bowel movement are often the causes of hemorrhoids. Reduces cholesterol levels. Low-density lipoproteins, the bad cholesterol, are reduced by soluble fiber. This lowers your risk of developing cardiovascular diseases associated with heart attacks and strokes by preventing the build-up of plaque in the arteries. Reduces the risk of digestive conditions. Hemorrhoids, Irritable Bowel Syndrome and Diverticulosis (a disease where small pouches develop in the intestinal walls) are less likely to occur because with fiber the intestinal contractions do not have to work as hard to move the stool along. Regulates blood sugar levels. The absorption of sugar is slowed by soluble fiber which helps prevent type 2 diabetes from forming, and it helps maintain more stable blood sugar levels in those that have diabetes. Colorectal cancers may be reduced. Studies are inconclusive but some have shown a reduced number of colorectal cancers in people who eat a high-fiber diet. A weight-loss aid. Fiber creates a sense of fullness because high-fiber food is chewed longer and creates more bulk in the stomach. It curbs the tendency to overeat at mealtime, and usually high-fiber food contains fewer calories. Adding more dietary fiber to your meals is one of the nicest things you can do for yourself. If you have hemorrhoids, fiber can work to aid your digestive system in healing and eliminating them. 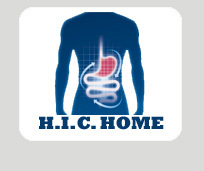 If you want even more information read Fruit and Fiber which is another great H.I.C. article.